Thanks to the media, now everyone knows cigarette causes cancer. It’s not applicable for the smokers only. Smoking is equally life-threatening for the second-hand smokers as well. The situation gets worse when you are living in a home with a smoking person, the tobacco odor sticks around the atmosphere and creates a nauseated feeling in the rest of the family members. So, what do you do to save yourself and save others from the smoking after effect? To tell you the truth, an air purifier can help you get rid of the smoking smell and the toxic particles from the atmosphere. More importantly, you will be able to breathe fresh and pollutant air at home. Now, are you looking for an air purifier? There are thousands of air purifiers on the market. Are you sure which one is the best for tobacco smell? It’s really a tough job to find the best among all. Each comes with unique features and different capabilities; therefore, it’s difficult to take the right decision to purchase. 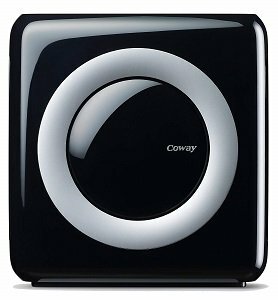 Normally air purifiers are designed to remove airborne pollutants or unpleasant odor. But, air purifiers for smoke are specially designed that can remove not only the toxic smell but also the tiny smoke particles. There are three variations of filters in different air purifiers that are effective for the smoke. Here we provide you the detail information so that you can easily identify which air purifier would match with your need and requirement. HEPA air purifiers are effective to remove the tiniest airborne pollutants. It can remove up to 0.3 microns of particles from the air. So, if smoking odor is not a major problem for you but wants to live in a contaminant-free atmosphere, then you can get a HEPA air purifier. It has proved to remove 99.97% of airborne pollutants from the air which means it can successfully remove smoke particles as well. Carbon filters are used in an air purifier to remove unpleasant smell and gaseous pollutants. Tobacco contains Volatile Organic Compounds (VOCs), and carbon air purifier can effectively remove such components from the air. Additionally, this type of air purifier is beneficial to remove smoke-induced odor. Please remember that even if it can eliminate unpleasant smell, it doesn’t work well when it comes to deal with carbon monoxide. Thus, you may get carbon monoxide detection and ensure proper ventilation to keep your indoor air free of carbon. Another factor of the carbon filter is; it needs frequent replacement. If not, there is a chance that the carbon monoxide can come back into the air. Thus, it’s recommended to get a high-quality carbon filter based air purifier. The PECO technology is used mostly in Molekule air purifier. This technology is known to completely remove volatile organic compounds that exist in smoke. Using a mechanical filtration system, the purifier removes the pollutants from the air. Then, the carbon filter installed in the device destroys the pollutants and remove completely from the air. As a result, the fresh air is sent to the atmosphere. Here, one point to remember is the PECO air purifier filter the air in a slow process. But, in return, you can get completely fresh and breathable smoke-free air. Air-purifiers that are combined with HEPA and carbon filter are widely used for smoke. These air purifiers are also called Hybrid purifier. The specialty of such devices is effective to remove smoke particles and airborne pollutants. As you already know, the carbon filter removes the toxic odor. So, if you are looking for a multi-purpose device to clean not only smoke but also all types of airborne contaminants, you can purchase a hybrid purifier. However, if we compare the purifier with usual HEPA air purifier, it may not provide you the utmost pollutant-free air. Also, the filters may need to replace often. Otherwise, it can work well when you need the smoke particles and smell out of your house. You might have already seen a wide variety of air purifiers on the marketplace. But, to find the best suitable one, you need to focus on some important factors during purchase. Therefore, below are some of the features that you can check out on your targeted purifier. How is the product review? What kind of air purifier is it? Is there any automated function? Can the device work in night mode? Is there any indicator on the device? How is the room coverage capacity? How often does it purify the air in an hour? 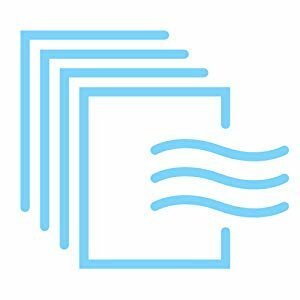 What type of filter does the air purifier contain? Does the air purifier come with a manually adjustable fan? These features will help you to shortlist the air purifiers for smoke among the best ones. Eventually, you can successfully purchase the one you like. These factors are very significant otherwise you may invest your money in a wrong device. 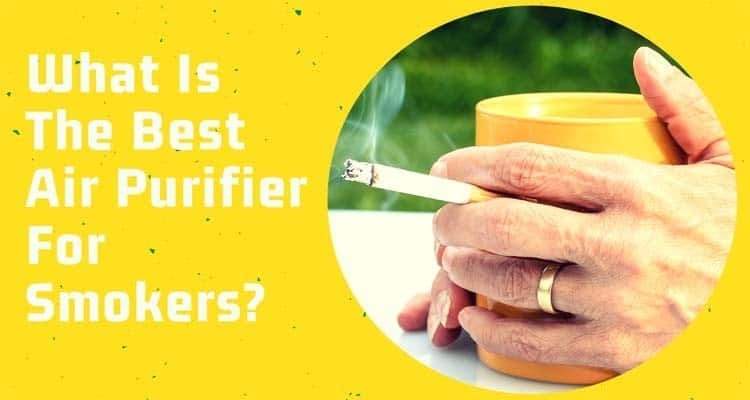 You may purchase the best air purifier based on other’s recommendation, but that may not be beneficial for the smoke. Since you are looking for an air purifier for smoke, it’s obviously essential to get the one that can completely remove the smoke odor and give you the smell free air just as you want. The air around us is already polluted, but the air in our house is even worse. The tobacco particles add more pollutants to the atmosphere with its’ tiny smoke particles. To most of the non-smokers, the tobacco smell is just unbearable that they want an immediate solution. That is why the air purifiers are designed specially to deal with smoke odor. Now, if you want your air purifier to deal with only smoke odor or pollutants, you can choose the one that matches with your need. But, to choose the right one from the thousand devices out there, remember to consider the important factors.